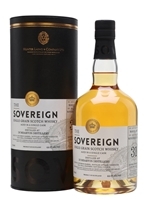 A 2018 bottling of Springbank's unpeated, triple-distilled single malt whisky. 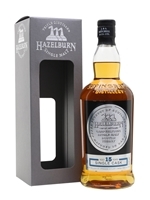 This cask-strength Hazelburn has been matured in a single Cognac cask and is the first 15-year-old expression to join the range. 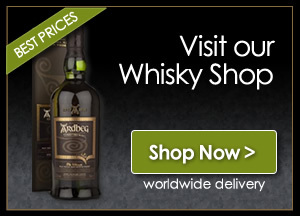 Expect fruity, nutty Hazelburn spirit with a healthy helping of French-oak, Cognac-cask spice. A rich and multifaceted whisky aged primarily in ex-bourbon casks before a fairly lengthy finish in ex-Madeira casks sourced from family cooperages in Spain and Portugal. 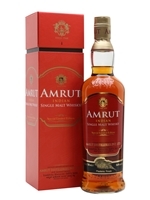 The finish has imbued Amrut's full-bodied spirit with sweet notes of honey and ripe, jammy orange rounded out by some oak-and-grapefruit bitterness and a touch of spice. A fantastic whisky bottled at a punchy 50% ABV. 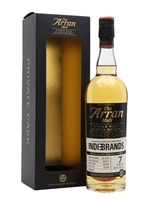 A 7-year-old Arran drawn from a single ex-bourbon barrel and bottled at cask-strength for Indie Brands. 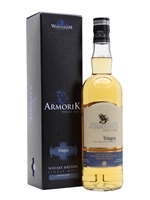 This bright young whisky has been heavily peated to 50ppm, thrusting a flash of thick, ashy smoke through the spirit's otherwise fresh, ripe, orchard-fruit profile. 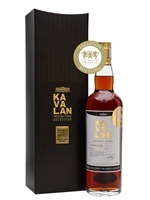 A cask-strength, single-cask Kavalan distilled in June 2012, aged entirely in a wine barrique and bottled in 2018, exclusively for The Whisky Exchange. 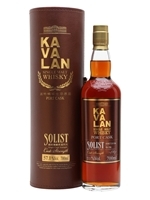 The resulting whisky is a full-on wine cask experience, with layers of rich dried and berry fruit complimented by sweet apple, spice and a touch of the tropical. The oldest Caol Ila ever bottled, a 50-year-old sherry-matured single malt released as part of Gordon & Macphail's Private Collection. Distilled in 1968 and only released from its single cask in 2018, this single malt leads with warming spice, followed by fruity flavours and gentle sherry. The finish is lingering, combining bonfire embers with lemon zest. 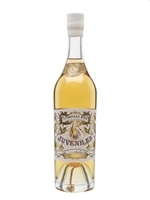 Juveniles is the latest in a long line of excellent collaborations between whisky blender Compass Box and Paris wine bar Juveniles Bistrot à Vins. Whiskymaker John Glaser and Tim Johnston are long-time friends and this special whisky has been created celebrates wine and friendship. Every Juveniles collaboration has featured a jester on the label, and this release has one of his bells in the punt of the bottle, ready to give a jingle every time you pour. Working to Tim's brief of 'bright, smooth, not smoky...', John Glaser has pulled together whisky from Strathmill, Balmenach, Clynelish and Glendullan from refill hogsheads, re-charred hogsheads and both first-fill and refill sherry butts to create a zesty dram that balances crisp barley sugar and pear drop note against rich vanilla and soft herbal notes. Perfect for dinner – chilled or over ice as an aperitif, or with cheese as the evening continues. 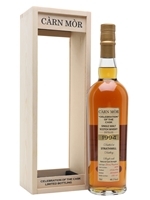 A 1994-vintage bottling of Strathmill from Carn Mor, part of the Celebration of the Cask series. It was distilled on 9 July 1994 and bottled from a single sherry hogshead on 23 April 2018 at 23 years old. It's an excellent combination of sherry-cask richness and spice, and Strathmill's lighter, slightly coastal character: brioche and jam up front, with orange zest through the centre and a touch of chocolate on the finish. 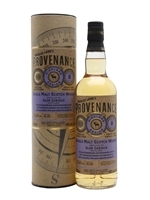 An 8-year-old release from Douglas Laing's Provenance series, which is created to offer typical expressions of the distillery. This particular release really demonstrates the spirit character of Glen Garioch. The first peated release from Warenhem distillery in Northern Brittany. It is names after the island network off the Cote de Granti Rose, and is aged in ex-Bourbon barrels. A rounded, sweet grain whisky from Girvan full of mouth-watering butterscotch, vanilla tablet and mandarin orange chocolate notes. 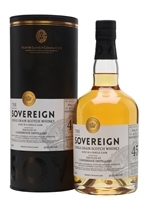 Bottled by Hunter Laing for its Sovereign range of single cask whiskies, this is a fabulous example of long-aged grain from Girvan. A single-cask single-grain whisky from the closed Carsebridge distillery, bottled by Hunter Laing from a single Hogshead in November 2018. Distilled a decade before Carsebridge's demise, this has notes of plums, blackberries, green herbs, apples and cinnamon. 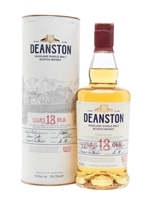 A 31-year-old grain whisky from the Dumbarton distillery, which was closed in 2002. Bottled by Hunter Laing from a single ex-bourbon barrel, this single grain whisky has notes of buttery shortbread, toffee apple and apricot. Dumbarton's whisky, made using maize and water from Loch Lomond, was largely used as part of Ballantine's blends. The distillery was famous for the 'Scotch Watch', the gaggle of Chinese white geese introduced in 1959 to protect the whisky stocks from intruders. The Raasay Distillery is the first legal distillery in the Inner Hebrides, based on the picturesque Isle of Raasay which has just 120 inhabitants. While it waits for its own spirit to become old enough to bottle as whisky, Raasay are releasing whiskies from other distilleries to showcase its blending skills. 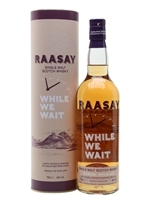 This third release in the 'While We Wait' series is a blend of peated and unpeated whiskies from a single distillery, finished in Tuscan red wine casks. 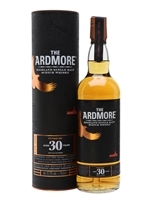 From 1987, the year that bought us the Rugby World Cup, the chocolate HobNob and The Simpsons, comes this exceptional value Highland single malt from Ardmore. Aged in refill barrels and finished in ex-bourbon barrels, this 30-year-old whisky is full of raisin, pear, cinnamon and toffee flavours, accompanied by hints of peat smoke. 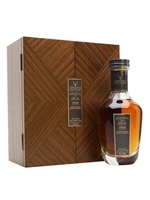 This limited edition bottling is exclusive to The Whisky Exchange in the UK. The 2018 release of Talisker's excellent 25-year-old whisky continues the reputation for greatness. Carefully balancing the distillery's seaside, salt and pepper character against elegant oak and delicate fruity notes, it's a masterclass in ageing with a delightfully old-fashioned air.